← Narcissistic Question of the Day: Can I Pull Off This Look? Pretty sure we’ve seen this cover before (I should know, I bought it in 2007 and then proceeded to bring it with me on several moves), but I don’t care. 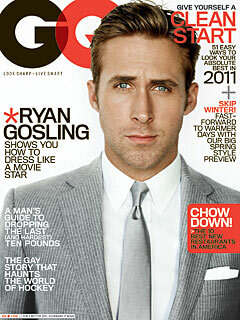 Ryan Gosling is just so gosh darn attractive. Oh, I hate that Blake Lively.